So, let's face it...Not everyone shares our unique brand of Disney appreciation. And it can be a tough thing if your best friend/roommate/significant other doesn't share your Disney love. 1. Break out the cheesy goodness! 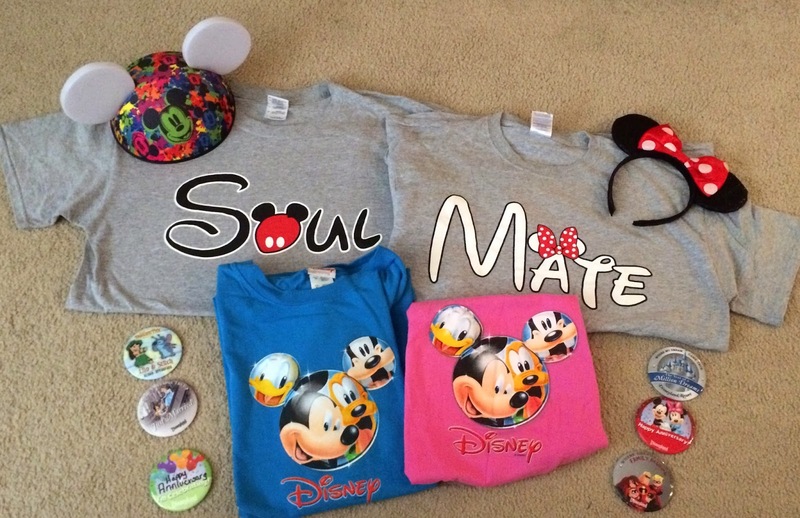 Nothing says care-free fun like matching t-shirts, Mickey ears, buttons, etc. Do it all! Have fun being silly together! 2. Incorporate their interests into Disney. For my husband, it was the history of the Disneyland Railroad, all the intricate designs in the construction of the rides and lands, and the speakers and cameras hidden throughout the park. 3. Sneak in some insider knowledge...Things that are common knowledge to you, as a Disney Addict, but not common to the general population: Disney history, Fastpasses, Club 33, former attractions that used to be in certain locations, which side of the line is the shortest, how to ride with the Mark Twain Captain, in the tender of the Disneyland Railroad, or on the Lilly Belle train car. Anything that makes an "outsider" feel like they are "in the know." 4. Research together! 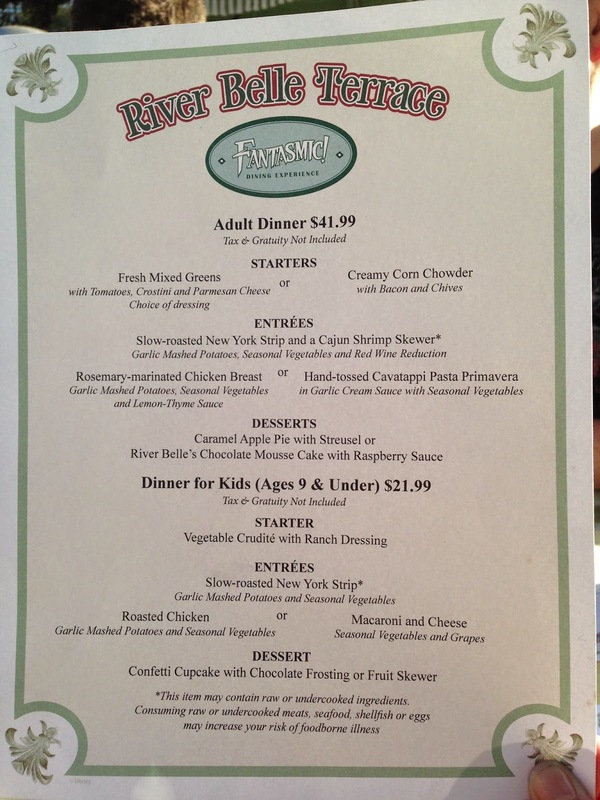 Check out all the menus to Disneyland restaurants online ahead of time and talk about what sounds good. Make some reservations. 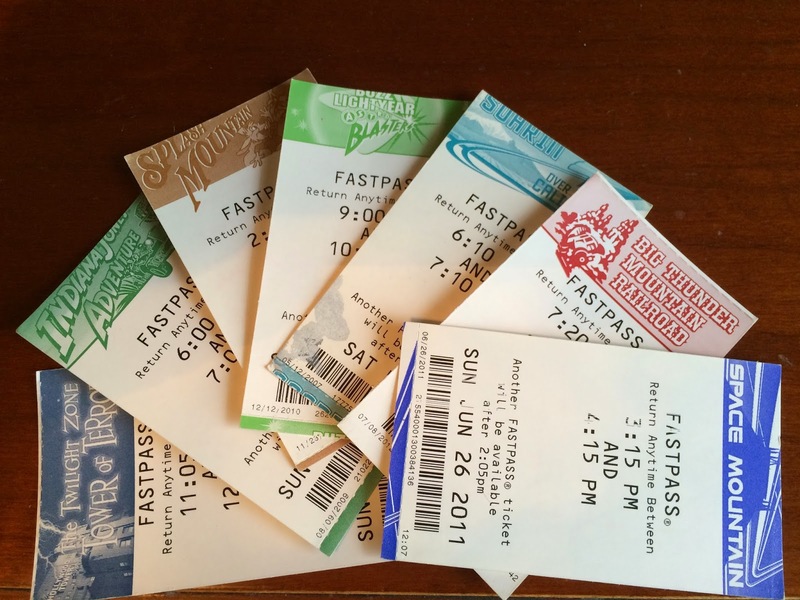 Talk about rides and shows and make a "top priority" list. Planning ahead gets everyone excited about an upcoming trip. 5. Get the nostalgia going! Talk about what they most remember about Disneyland as a kid. Then make plans to go on the same rides again, have some of the same junk food, relive some of the same experiences, etc. 6. Spread some Disney cheer. Our favorite thing to do is hand out Fastpasses that we aren't going to use to people who just got into the end of the stand-by line. 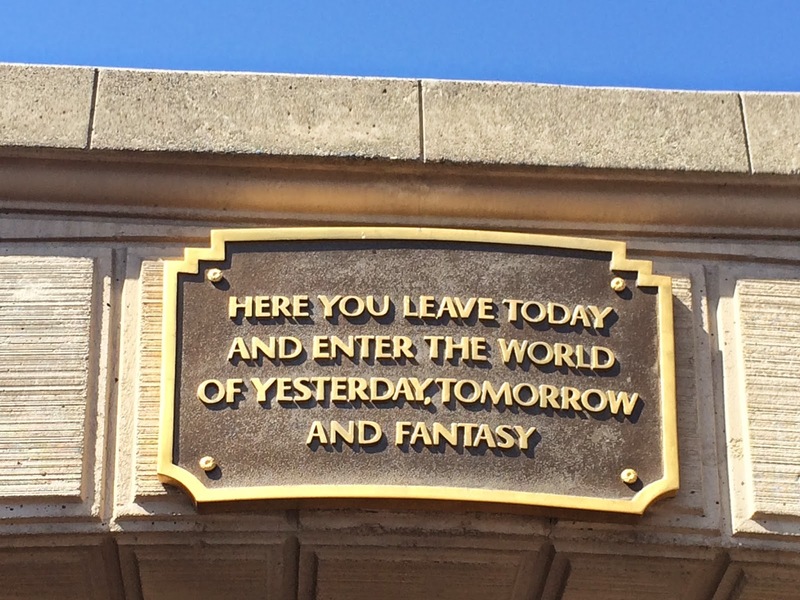 (This was more fun before Disney cast members started to strictly enforce the Fastpass return times, but that's another article for another day...) A simple way to share some magic with others! Now, having said all this, I didn't set out with a plan to turn my husband into a Disney person...but when you share your passion with others, it usually helps them see the magic in it! Have you helped a non-Disney person discover their Disney Side? Tell us about it in the comments!